Are you a Danish writer who has written a book and want to publish it through a publishing house? The following list has been created especially for you. 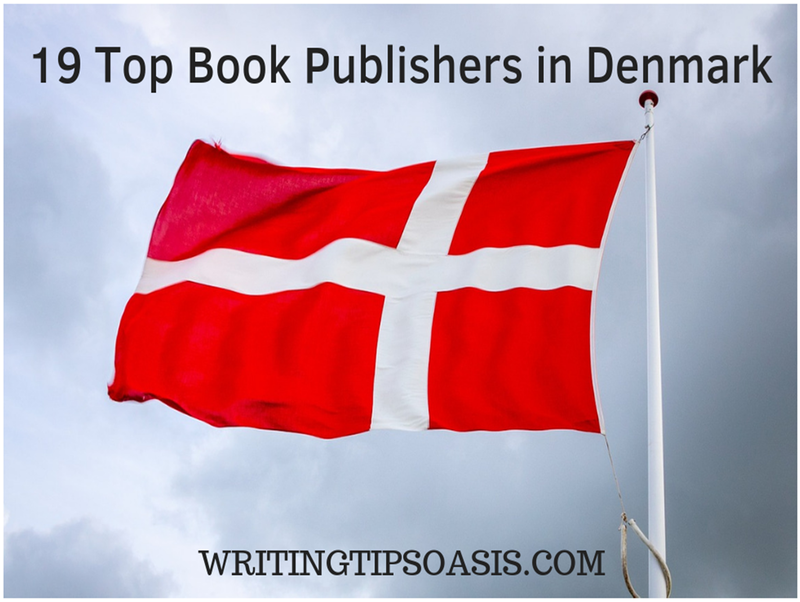 Continue reading to learn about 19 top book publishers in Denmark. One of the leading publishers in Denmark, Lindhart Og Ringhof is based in Copenhagen. They have several imprints under which they publish various genres. Lindhart Og Ringhof publishes approximately 600 books a year. Some of the country’s most promising authors work with them. Names such as Steffen Jacobsen, Merete Pryds Helle, Leif Davidsen and Hassan Prieler have published with them. They work on genres such as biographies, history, crime, fiction, translations, self-development and food. Interested authors and writers can send their manuscripts for submission via email. Please read the submission guidelines carefully. Established in 1770 by Soren Gyldendal, the company is Denmark’s prolific publisher. With a history of almost 250 years, they have partnered with the country’s most successful minds. Gyldendal boasts the reputation of being the country’s largest and biggest publisher. Every year they publish 400 books on innumerable genres. They have printed the bestselling Danish books in fiction, children’s literature, novels, romance, non-fiction, health, culture, art, philosophy, business, history, mind, spirit and biographies. Authors and writers can send their submissions via post. All the instructions are explained on this page. From 1946, Politikens Forlag has been committed to finding local Danish authors and promoting them. Printing traditional paperbacks and digital books, the company has a long history of publishing spectacular fiction and books. They have supported and guided authors such as AJ Kazinski, Jesper Stein, Anna Grue and Anthony Doerr. Some of the genres they print include fiction, erotica, short stories, non-fiction, children’s books, young adult fiction, travel, parenting, relationship, food, health, biographies and nature. They have separate editors for different genres. Read the submission guidelines for manuscripts on this page. You can then apply to the specific editor assigned to the genre of your choice. They only accept complete fiction manuscripts. For non-fiction projects, you can send them synopsis of your book also. In 1985, the Aarhus University Press was formed to allow students and scholars to publish their research. Over the years, they began to find other interesting authors, writers and people who had something to say. Exciting exchange of ideas and sensible debates on culture, arts and science was their criteria for new books and authors. Since 2013, it became a publishing company and focused on finding literary talent. While they have a wide range of Danish books and ideas, they also are keen on selecting English language books and materials. Aarhus prints 100 books annually. The subjects they cover and print include Economics, Health, Cultural Studies, Art, Music, Social Science, Philosophy, History, Law, Literature, Mathematics and English Literature. Interested authors, writers, researchers and students can send their material or book ideas for submission. The guidelines can be found on this page along with the email address. Danish fiction has always been an intriguing mix of strong characters, edgy writing and mesmerizing story telling. Denmark’s cultural milieu inspired People’s Press and it is now the country’s most youthful and unique press. Skipping conventional and common ideas, they opt for the rule breakers, the rebels and the out of the box storytellers. Its policy to choose great stories has ensured it has won awards and nominations across the country. Fiction, novels, literature, non-fiction, management, food, children’s books, history and journalism are the genres and topics they prefer. They only accept completed manuscripts or books. Read the submission guidelines here and send your material. Since 1990, Frydenlund has made its mark in the Danish publishing industry. While there are 5 big and traditional publishers, Frydenlund is a small yet powerful publisher with a bent towards eclectic materials. This independent publisher based in Frederiksberg prints 60-70 books annually. A publisher with a social message, the genres they print include education, community, society, psychology, health, history and fiction. Writers and authors can submit their manuscripts after reading the guidelines on this page. Started initially to print and publish cost effective textbooks, Akademisk Forlag was launched in 1962. The student councils felt that students could not afford the expensive textbooks prescribed in courses. Textbooks were not being replaced by libraries and colleges. So 8 student councils got together and formed a publishing house. Danish literature, material, translated works and English literature all were included in the books published by them. The press falls under the Lindhardt Og Ringhof Forlag Some of the subjects they print include Philosophy, Management, Social Sciences, Psychology, Science, Religion, Languages, Humanities, Learning and Organization. You can become an academic author by sending a manuscript. The submission guidelines are mentioned on this page. Denmark’s most popular children’s publishing house since 1942; Carlsen is a part of the Lindhardt Og Ringhof Forlag Carlsen has been intent on creating exciting stories, beautiful characters and smart stories for children of all ages. Their books are divided into various ages and each book often has a crucial message for the readers. It is vital that children start reading at an early age to imbibe culture, values and morals. It also makes them curious and allows them to question the world. Every book at Carlsen has to ensure its readers are enthralled and want more. If you are interested in being a children’s author then send your manuscript to them. The address, guidelines and instructions are found on this page. In 1987, Claus Delby and Jaume Ferrer decided to publish hobby books. Danish readers needed to understand the correct way to indulge in their hobbies or creative activities. Since 30 years they have tried to build a reputable list of titles and publish 100 titles a year. Their preferred genres include gardening, culture, hobbies, children’s books, Christmas, art and food. They are currently not accepting children’s books. Authors and writers can submit their books or manuscripts to Klematis via email. A publishing house with a history that spans century, Gads Forlag was formed by Gottlied Ernst Clausen Gad. Since 1855, they have contributed to Danish literature in a big way. Their ideology and dedication to finding literary talent in the country and promoting it has worked. They fight tooth and nail for their authors to get the best marketing and distribution deals. Gads is also the publisher of Denmark’s popular reference guide Krak’s Blue Book. The genres they prefer are fiction, biographies, history, children’s book, culture, lifestyle, health, food, personal development and reference guides. Authors and writers can consider sending their manuscripts to the Copenhagen based publisher after reading the guidelines. Four publishers came together to create one powerful press. Rosinante & Co is made up of 4 quality publishers who make up the Danish literary landscape. When publishers are choosing quantity over quality, this remains a company with integrity and class. The 4 imprints include Cicero, Pretty Ink, Rosinante and Autumn & Sun. All of them serve different audiences and work on completely varied genres. This allows them to choose between stories of all kinds. Amateur Danish authors or writers can send their manuscript for publication. You can find the instructions and contact details mentioned on this page. Affiliated with the prestigious Copenhagen Business School, this academic publisher is renowned in the country. The country’s most keen, sharp and visionary minds come to study at the Business School. And they want their ideas, debates and theories to be shared with people across the world. A panel of experts often goes through book proposals, manuscript ideas and submissions. Only the best, the excellent and the outstanding ideas are considered. The subjects they publish include marketing, management, communication, strategy, organization, economy, International Business and Supply Chain Management. Academics, students and researchers can send their book proposals via The information regarding book proposals can be found here. Hans Reitzel founded his namesake publishing house in 1949. He wanted to bring literary upheaval in the country. Choosing authors and revolutionary writers who shook the academic and publishing world, he set a new benchmark. Traditional publishers were facing up to the fact that there was a formidable, unpredictable adversary now. For almost 7 decades they have welcomed critical, analytical and sharp thinking from writers. Today, a passionate reader can even write to the company arguing about nuances in their books. This tradition of appreciating criticism has remained a trademark of Hans Reitzel. They presently print disciplines and genres such as humanities, law, psychology, social work, communication, Danish language, education and management. Write an email outlining your book idea or proposal to the editor overlooking the genre of your choice. The details and names of the editors can be found on this page. The institution identified across the nation for its veritable books and authors, Museum Tusculanums Forlag was founded in 1975. While it is a recent addition compared to other academic presses, it has climbed up the rung very quickly. Its ties with the iconic University of Copenhagen have meant that its authors are the crème da le crème of the country. The non-profit publisher prints a selective 45 titles annually. Even the best materials and researchers get rejected if they don’t meet the publisher’s stringent standards. This has meant a steady roster of books that encourage critical debate, push vital thoughts and discuss relevant issues in the country. Authors of humanities, art, theology, science and social sciences can send them a book proposal. The guidelines and contact details are specified on this page for interested writers. In 1948 Jarl Borgen formed Borgens Forlag to publish quality Danish literature. Keeping his commitment to the readers and the authors, he went to build a legacy the country is thankful for. The small, independent press was taken over by Gyldendal in September 2013. It still prints titles in mind, body, spirit under the Borgens Authors can find relevant information and contact details here. A traditional and fiction publisher, Brӕndpunkt allows the author to lead the way. The writer knows best what styles of design, editing and marketing to suggest so that his/her book reaches the audience in the correct manner. Few publishers let authors in on the technical or the business side of publishing. Yet here they have no qualms about involving the writer in all aspects as deeply as possible. This has made them a favorite among local authors and writers. The feeling of being in a collaborative partnership creates a positive atmosphere for creators, artists, writers and authors. You can find the manuscript guidelines for fiction books here. A small but dedicated publisher, Eudor prints children’s books, comics and humor. Denmark’s most talented and quirky illustrators have lent their art to this boutique press. Last year they only published 8 print titles and 20 e-books! Quality over quantity means only the best of the lot get selected. They take their time to evaluate submissions and are always on the lookout for the next unique author, writer and illustrator. You can send your manuscript or proposal after reading the guidelines via post. They take some time to reply so you will have to be patient. A bright, new publishing company formed in 2018, Kotu is a part of the Danske Forlag Being a new entrant to the literary world lets them see it with a fresh set of eyes. Unfettered by any preconceived notions, they can work with authors in a relaxed way. They are letting authors and writers be themselves and aware of their stance without it being a deterrent. Currently they are seeking titles in fiction, biographies and personal journeys. Empowering stories of individuals or businesses that have overcome challenges are also welcome. Personal transformations through tragedy or adversity are a focal point of theirs. The submission guidelines and information is mentioned on this page. Based in Frederiksberg, this publisher was established in 1967. A group of students, thinkers and creators got together to discuss the need for price efficient teaching materials. Education should be accessible to all and that’s why they started printing academic materials and journals. A chunk of their profits continues to go towards schools, libraries and academic institutions. They also hold an annual competition which offers Denmark’s highest literary prize of about 100,000 kroner. They accept science, humanities, media, communication, management, organization and education. Submitting to them isn’t an easy or quick process. Read the guidelines and suggested information very carefully. You will have to send a synopsis and also find the appropriate editor for your genre. The synopsis information can be found While the editors for different genres are listed on this page. 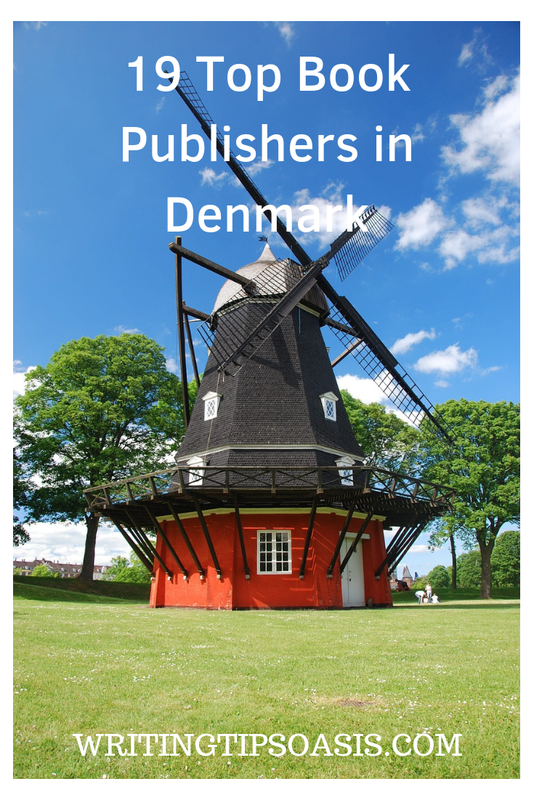 Do you know any other book publishers in Denmark? Please tell us about them in the comments box underneath!